As National Farmers Market Week comes to a close, we want to spotlight Florida’s original growers market…the Alachua County Farmers Market! Founded in 1972, the market was held in a downtown parking lot at the corner of University Avenue and Main Street. Since 1991, it has been taking place in the county owned pavilion it is held in to this day. The mission of the Alachua County Farmers Market is to give growers a place to sell home grown produce directly to the public so they can generate sustainable income from farming. By doing so, it has enabled many farmers to keep on farming instead of having to take other jobs or to sell their land for development. Open every Saturday from 8:30 a.m. to 1 p.m. and held at the intersection of US 441 and 34th Street, the market primarily sells produce as well as plants, flowers, meats, dairy, egg, honey and more. Since the market is a grower’s only market, those selling produce, plants, and other products at the market are not allowed to purchase produce from other farms or wholesalers and resell it. Everything sold at the market was produced in Florida and within a 50 mile radius. While some vendors may have some non-farming helpers behind their booths, there will be at least one person who can tell you how the crops were grown, whether or not they are organic, and what variety they are. Plant sellers can tell you whether a particular shrub needs shade or sun and how often it should be watered. Upcoming events include a food preservation demonstration on Saturday, August 16th at 9:30 a.m. and a summer festival on Saturday. September 6th. Both events are free and open to the public. 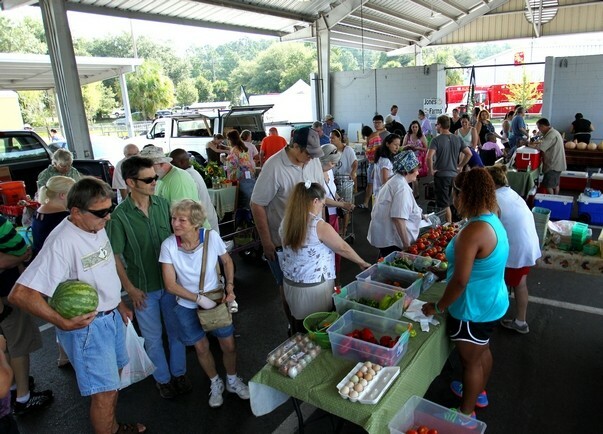 Through a partnership with Florida Organic Growers, the Alachua County Farmers Market offers Fresh Access Bucks, a program that doubles the amount of Florida grown fruits & vegetables SNAP recipients can purchase at the market. 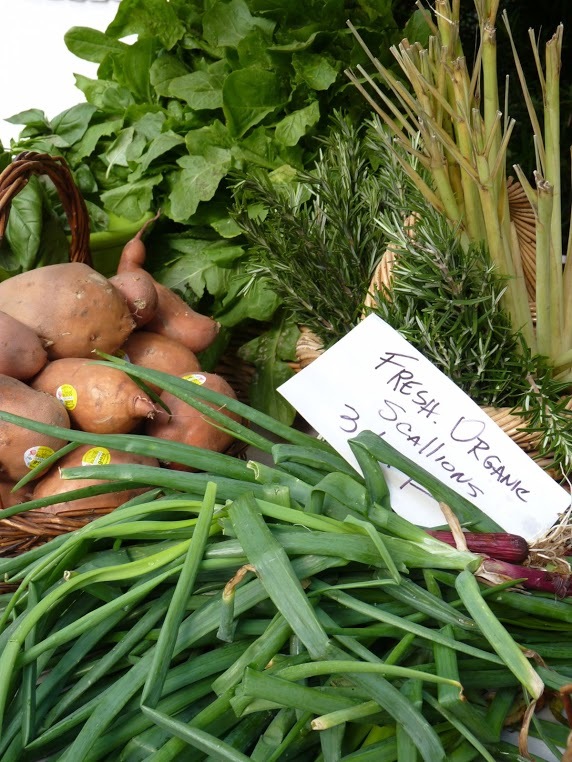 For more information on the Alachua County Farmers Market, please like them on Facebook! For a complete list of Farmers Markets that participate in Fresh Access Bucks, please visit the Fresh Access Bucks page. 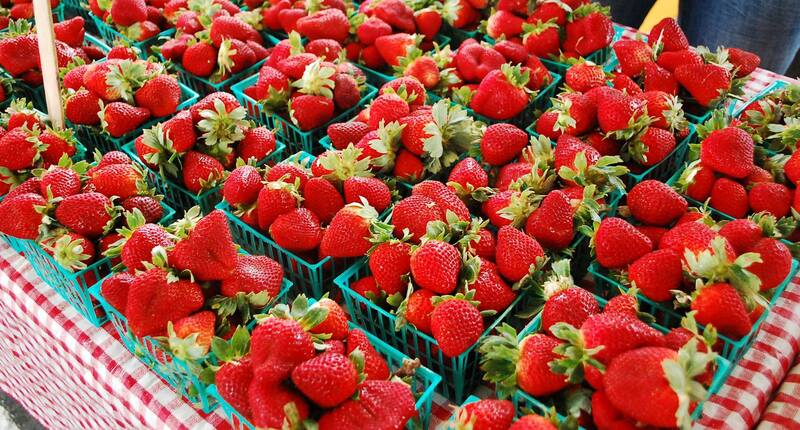 For a list of all farmers markets in Florida, please visit our map! Today we are highlighting one of the top 20 markets in the country and the largest in the southeastern United States … the St. Petersburg Saturday Morning Market! 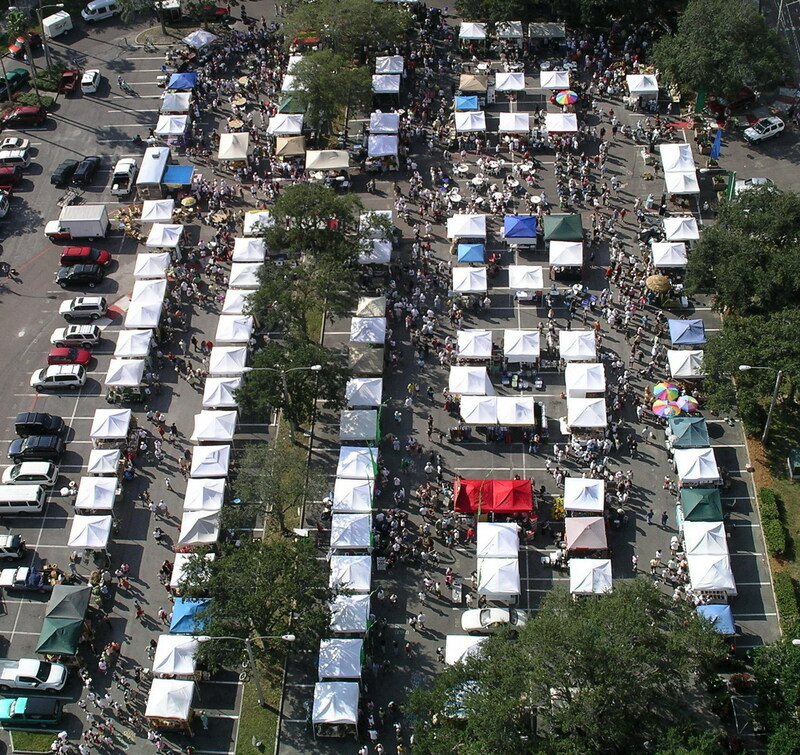 Founded in November 2002, the market, opened Saturdays from 9 a.m. to 2 p.m. and located at the Al Lang Field parking lot (the corner of 1st St and 1st Ave S) in downtown St Petersburg along the waterfront, boasts about 10,000 attendees on a typical Saturday and 200 vendors filling more than 130 spaces. 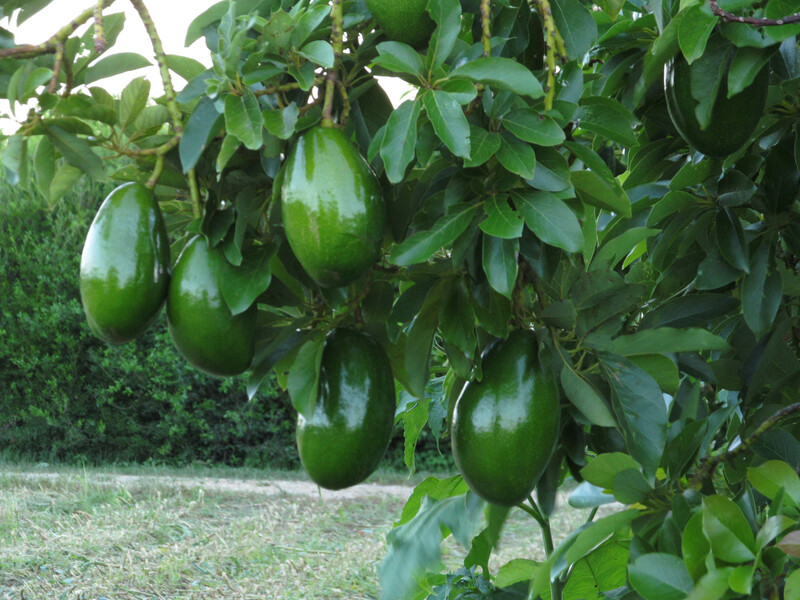 Customers of the market are able to buy high quality produce and other products directly from local growers. Worden Farm, an organic far m located in Punta Gorda, is a huge market favorite. 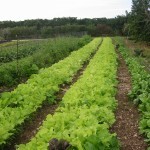 In the fall, the market will have three organic or permaculture farms. Coming up this fall, the market will have a weekly Taste Cart with guest chefs and cooks showcasing market foods. Through a partnership with Florida Organic Growers, the St. Petersburg Saturday Morning Market offers Fresh Access Bucks, a program that doubles the amount of Florida grown fruits & vegetables SNAP recipients can purchase at the market. 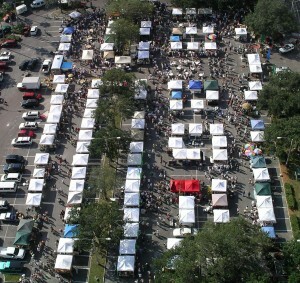 For more information on the St. Petersburg Saturday Morning Market, please like them on Facebook! Southbound, we go! 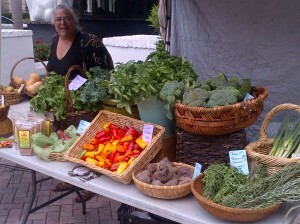 Today, we are spotlighting the Las Olas Sunday Market in Fort Lauderdale! This market officially opened in March of 2013 and sees around 3,000 attendees per market day in season. Located at 333 E Las Olas Blvd. and SE 4th Ave., the market is open Sundays 9 a.m. to 2 p.m. year round. The market features produce, baked goods, prepared foods, seafood (October to May), grass-fed beef, pork and free range chicken and eggs, along with locally grown orchids, raw organic treats, fresh baked goods, gluten free products, Pappardelles Pasta, prepared foods from Spain, Spices and teas, French pottery, olive oils, soy candles, artisan soaps, aroma therapy products, biscotti, honey, and designer gem stone jewelry. Through a partnership with Florida Organic Growers, the Las Olas Sunday Market offer Fresh Access Bucks, a program that doubles the amount of Florida grown fruits & vegetables SNAP recipients can purchase at the market. For more information on the Las Olas Sunday Market, like them on Facebook! Today, we move up north to the Panhandle and spotlight Frenchtown Heritage Marketplace in Tallahassee. The market opened on a regular weekly schedule on April 18, 2014 and is open Saturdays from 9 a.m. to 1 p.m. at the corner of Georgia and Macomb in the historic Frenchtown neighborhood. On an average market day, half of the vendors sell organic produce they have grown. One vendor sells local honey and another sells local sausage and provides samples. They also have gourmet popsicles, homemade jams and jellies, baked goods and occasionally eggs and dairy. The mission of the market is to be a community-led solution to food insecurity for neighborhood residents. The market is the only market in the area that offers both EBT access and Fresh Access Bucks, a program offered by Florida Organic Growers that doubles the amount of Florida grown fruits & vegetables SNAP recipients can purchase at the market. 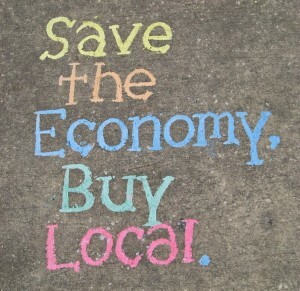 The market provides nutrition education for consumers and economic opportunities for local and regional food producers. It draws positive attention to a community striving to revitalize. The market is holding their annual fundraiser, Frenchtown Heritage Fest 2014, on Saturday, September 13 from 10 a.m. to 6 p.m. The festival will feature art and food vendors, live jazz and blues, fitness classes, health screenings, kids’ art activities and the always-exciting Double Dutch show, including the inaugural Frenchtown Fresh Challenge, a cooking competition that challenges contestants to create a winning meal using fresh, local ingredients. 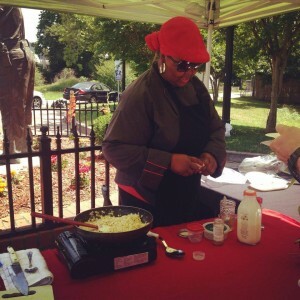 The Frenchtown Fresh Challenge is a first-of-its kind cooking competition designed to draw attention to the critical issues of childhood obesity and minority health disparities in an empowering, solutions-based approach to health awareness. Partners of the market include the City of Tallahassee, Frenchtown Community Development Corporation, Frenchtown Neighborhood Improvement Association, Inc., Greater Frenchtown Revitalization Council and Tallahassee COPE Coalition. For more information on the event or to sponsor, please visit the market website. For more information about the market, please like them on Facebook! Today we move south and highlight the Upper East Side Farmers Market and the Southwest Community Farmers Market, both located in Miami. The markets were developed by the Urban Oasis Project, a nonprofit organization based in Miami whose mission is to provide more access to fresh, healthy foods, support local farms and gardens and create opportunities for people of all socioeconomic levels to eat fresh, local food. 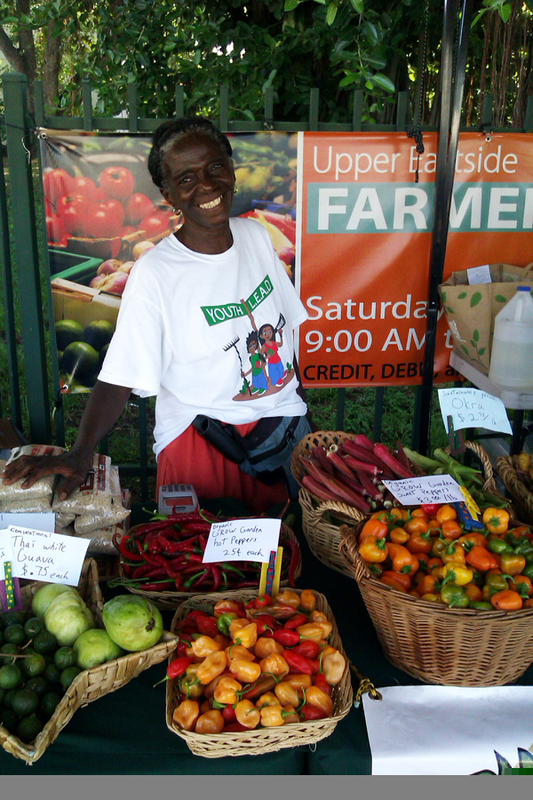 The market is one of the few “local food only” farmers markets in Miami-Dade. Held at a great, convenient location, many people walk, ride bikes and push strollers to spend their day at the market. Market goers partake in great juices and prepared foods and leave with the best produce from farms and gardens in south Florida. The Southwest Community Farmers Market was developed in November 2012 and moved to its current location at Tropical Park in March 2013. Held Saturdays, rain or shine, from 9 a.m. to 3 p.m., the market is located at Tropical Park, 7900 SW Bird Road, just west of the Palmetto Expressway. The market offers more than 20 vendors selling all agricultural products including local produce, prepared foods, juices, honey, ceviche, coffee, breads, plants and plant related items. The market is a community market where they encourage the local customers to grow their own food, to sell surplus at the market and to share seeds via their seeds exchange basket.They have an information table where customers can find food related information and where children can always find a fun activity to do. The Southwest market serves South Miami, Coral Gables, Westchester, Kendall and other areas of Miami-Dade County and is a relatively young market with an increasing crowd of regular customers who appreciate fresh, locally grown food. The market’s weekly newsletter is fast becoming an important resource for everyone. 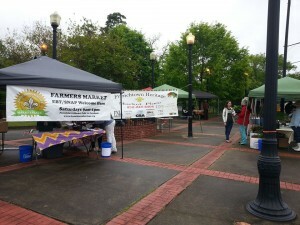 The Southwest market also offers a Community Supported Agriculture (CSA) program for the Little River Market Garden. Through a partnership with Florida Organic Growers, both markets offer Fresh Access Bucks, a program that doubles the amount of Florida grown fruits & vegetables SNAP recipients can purchase at the market. For more information on the Upper East Side Farmers Market, like them on Facebook! For more information on the Southwest Community Farmers Market, like them on Facebook! In honor of National Farmers Market Week (August 3-9), today we are spotlighting the Brevard County Farmers Market in Melbourne. The project to develop the Brevard County Farmers Market started in 2009 and it officially opened in 2010. The market is open every Thursday from 3 to 6 p.m. at the Wickham Park Stables off North Wickham Road in Melbourne. 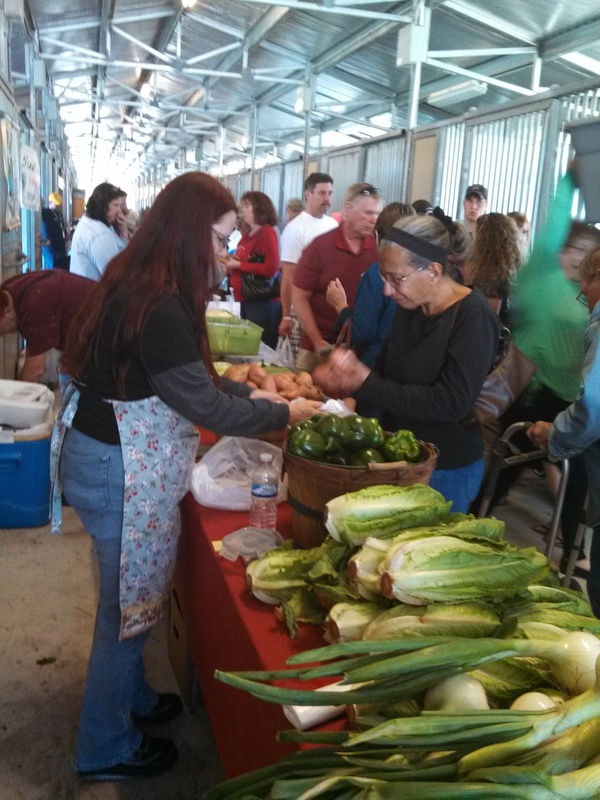 The mission of the Brevard County Farmers Market is to build a healthy, vibrant, and prosperous community through linking regional farmers, fishermen, growers and producers who sell fresh, local produce with consumers. This puts the best food in the hands of those who most need and want them, and strengthening the local economy. All of the vendors are screened before being accepted as a vendor. This process ensures that products sold are grown or produced in Florida and are agricultural in nature. Each vendor must produce or grow at least 50% of the products sold at our market. The market will be running alongside the Brevard County Fair on Thursday, October 23 and October 30. In partnership with Florida Organic Growers, the market offers Fresh Access Bucks, a program that doubles the amount of Florida grown fruits & vegetables SNAP recipients can purchase at the market. The market is working on a development plan with the county parks and recreation department to create a facility that provides education, research, and community offerings in concert with the University of Florida through the Brevard UF/IFAS Extension. 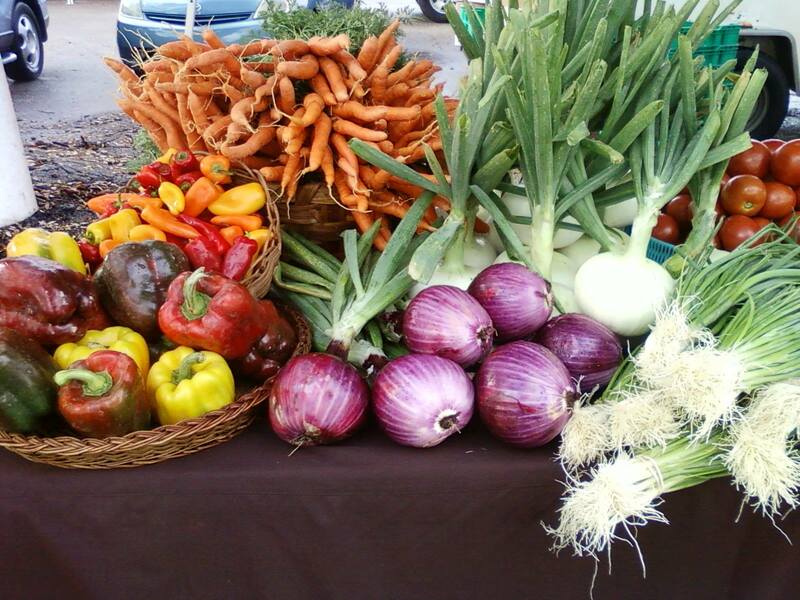 For more information on the Brevard County Farmers Market, like them on Facebook or visit their website! Bee Heaven Farm, located near Homestead, started with a dream. Owner Margie Pikarsky and her family started their own family garden and experimented with various plants and organic growing techniques that were suitable to south Florida’s subtropical climate. In 1995, the family purchased 5 acres in the heart of the historic Redland district. They wanted to have a place where their daughter could grow up carefree without worrying about chemical exposure and enjoy food in an environmentally-friendly way. Two years later, they were certified organic by Florida Organic Growers organic certification agency, Quality Certification Services (QCS). 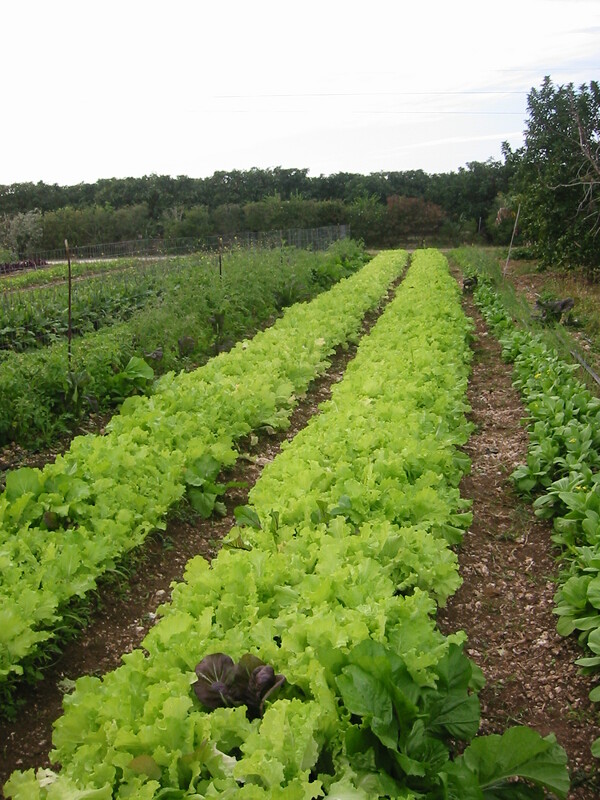 Today, Bee Heaven Farm grows Asian greens, lettuce mix, arugula, heirloom tomatoes and vegetables, multi-colored carrots, herbs, avocadoes and other tropical fruit. 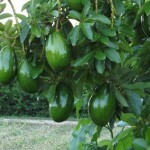 They also have eggs, honey, luffa, specialty bananas and longans. The Farm sells their products at the Pinecrest Gardens Farmers Market in Pinecrest during the winter season and through their Community Supported Agriculture (CSA) program, which has approximately 300 members. Bee Heaven Farm also gives back to the local community through donations to the Homestead Soup Kitchen. They accept EBT and have partnered with FOG to offer Fresh Access Bucks, a double-value program. In the past, Bee Heaven Farm’s generous CSA members have donated some of their shares to needy families. Bee Heaven Farm, along with Redland Organics, hosts GrowFest!, a two-day festival held at the Fruit and Spice Park. The event was established to raise of the agricultural area, help educate growers and gardeners about what can be grown here in South Florida, and provide plants and resources to start out the growing season. The festival sells produce and highlights artisans who craft their products with locally-grown ingredients and hosts food vendors who sell foods prepared with locally-grown items. The event donates $1 of each paid admission to an organization. In 2012, the event benefitted FOG. 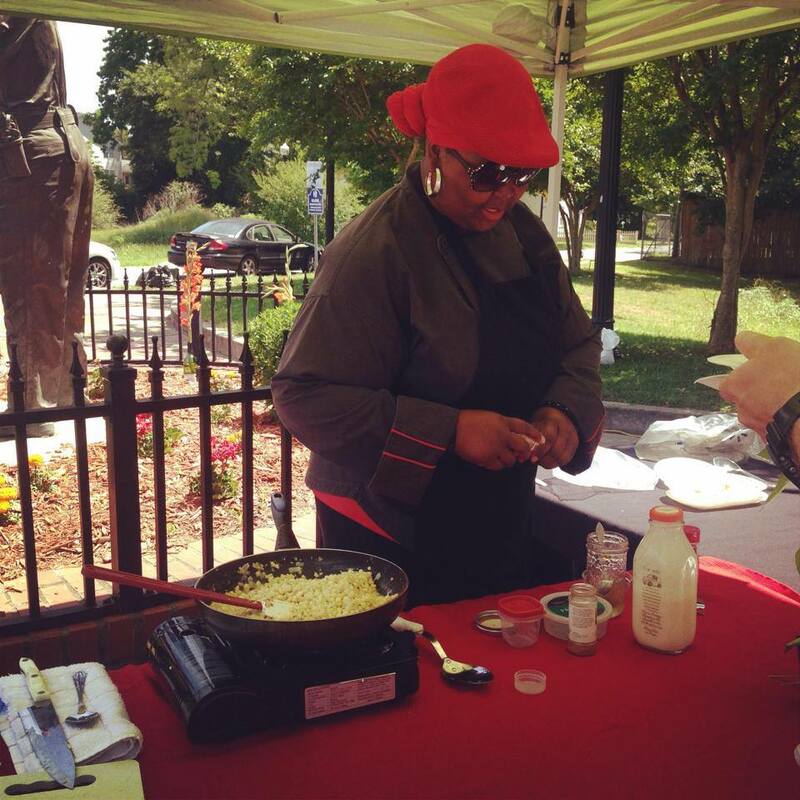 In 2013, the event will benefit the Urban Oasis Project, a local organization whose mission it is to bring fresh, healthy, local food accessible to all. The 2012 event drew 1,400 people, a big increase over the previous year. It’s meant to be a family event. Lots of children attend – we counted more than 250 this year, and there were educational activities for kids, as well as music, workshops and presentations on many aspects of food production, from growing information to cottage food laws to beekeeping and backyard chickens. Mark your calendars! Next year’s event will be held the weekend after Columbus Day. For more information on Bee Heaven Farm, please visit their website or like them on Facebook! 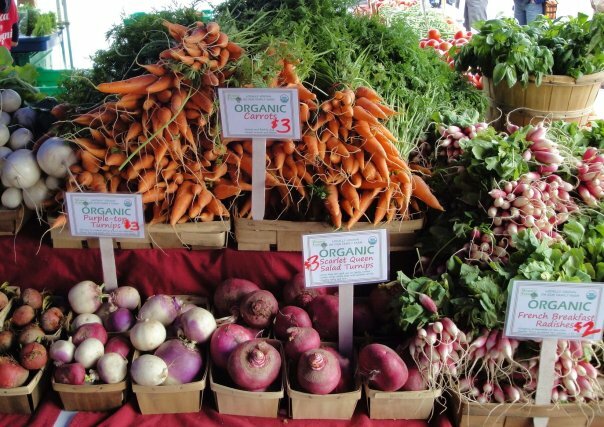 The Farmers Market Coalition and Market Umbrella have released the results from a survey of Farmers Market Promotion Program (FMPP) grantees from 2006 through 2011. Between 2006 and 2012, FMPP has provided 575 grants ranging from $2,000 to $100,000 to support a wide array of farmers market and direct farm marketing programs at local, regional, and state levels. Demand for the program is high, with only 21% of applications funded between 2006 and 2012.